What are the Dashboards? – Hey. Ask us anything! Dashboards are a great way to display what's important in just one place.With 15 available widgets users can now understand project progress, track budget, estimate teammates workload and much more! It allows to keep your team focused and motivated on the high level goals and boost productivity! The Dashboards are here to facilitate your workflow, and make sure you stay updated on what is happening in multiple boards. Create summaries, reports, and get a high level view of everything that is important to you! Select and organize groups from multiple boards in one dashboard. Centralize your data in one location, and use our widgets to have all the tools and information you need in one view. How to add a dashboard? Click on the + new icon to create a new dashboard. How to delete or archive a dashboard? To delete or archive your dashboard, click on the three bar menu located on the upper right and select "delete" or "archive". We currently don't have an archive or recycle bin for the dashboards. This means that once you delete or archive a dashboard, it will be gone for good with no option to recover it. Our developer team is working hard on improving this. Stay tuned for further updates very soon! Who can see my dashboard? From there, you will be able to add your team members. Note: Information in widgets like the "Updates I was mentioned in" widget will change according to whoever's viewing the dashboard. You can read more about widgets below. You can also change your dashboard into dark mode. Go to your hamburger menu on the top right > switch to dark mode. Your dashboard will now go into dark mode. To switch back, you can follow the same steps. Now that we've covered the basics, let's move on to the cool part 😊! How to build a dashboard? Your dashboard is made of different widgets. You can use each widget to display specific information from any board. To add a new widget, simply click on the + icon and select the type of widget you would like top display. You can also click on the blue button "Add new" to add a widget. Let's dive into the different available widgets. The counter widget will display any numerical column you have on your board. This widget is great to get an overall sense of where projects stand in regards to numbers, to track total costs or numbers of multiple boards in one place! Check out this article to learn more about it. The battery widget allows you to keep track of the progress of your boards in just one place. You can also combine the progress of several boards in one single battery icon. It is an amazing feature to keep track of the progress in all your projects with one simple glance. Check out this article to learn more about it. The clock widget will show you the current time around the world. ⏰ Check out this article to learn more about it. 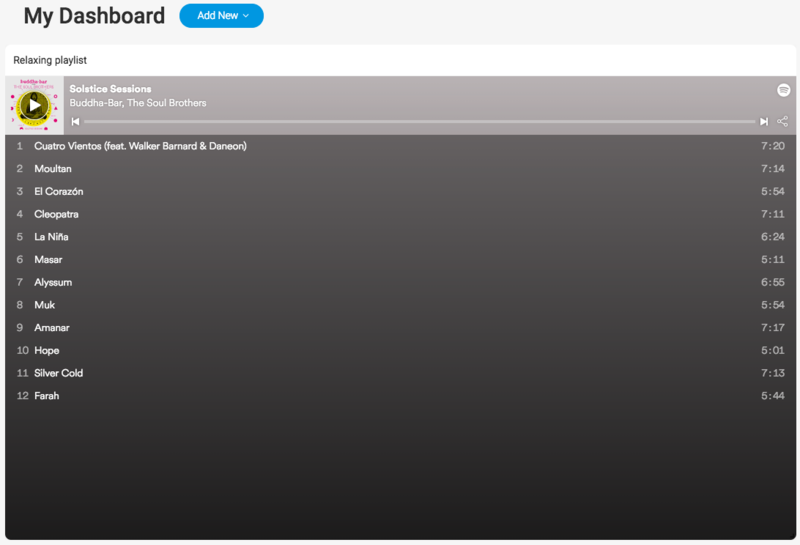 The table widget allows you to display multiple boards one view. In addition, you can select which specific group from each board you want to see. It is great to get an overview of a specific topic from different boards, to track where projects stand and see the big picture as a team! Read more about it right here. No one wants to miss something important like finishing a project , launching the new marketing campaign or your boss's birthday. Knowing how much time is left to your goal or event is pure motivation to get it done quicker and setting a sense of urgency. Display the countdown of any event or project thanks to our countdown widget. Check out how it works right here. Enjoy listening to your favorite tunes directly from your dashboard thanks to our Spotify widget. 🎶 Find out how it works right here. Never miss an update you were mentioned in again! See every update you were mentioned in, in one clear view with the "I was mentioned" widget. 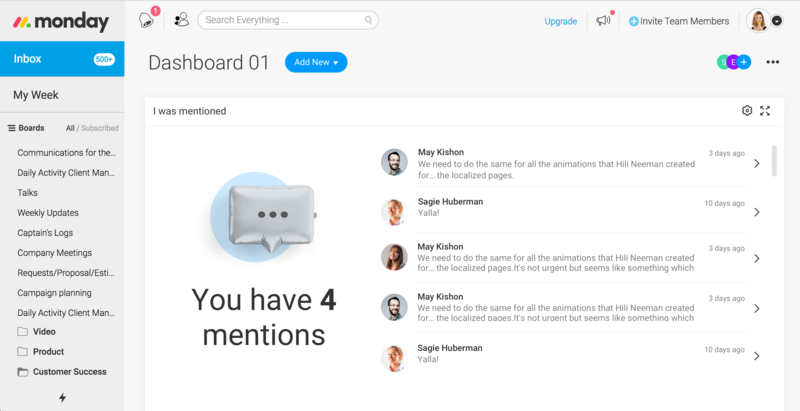 You can even customize it so you see only the types of mentions you want to see, within a timeframe of your choice! Click here to learn more. Note: If you share your board with other people, this section will show them the updates they were last mentioned in, not the updates you were last mentioned in. Boost your motivation with the quote of the day widget! Fun and easy to use, this widget will display a new quote each day. Check this article to learn more. 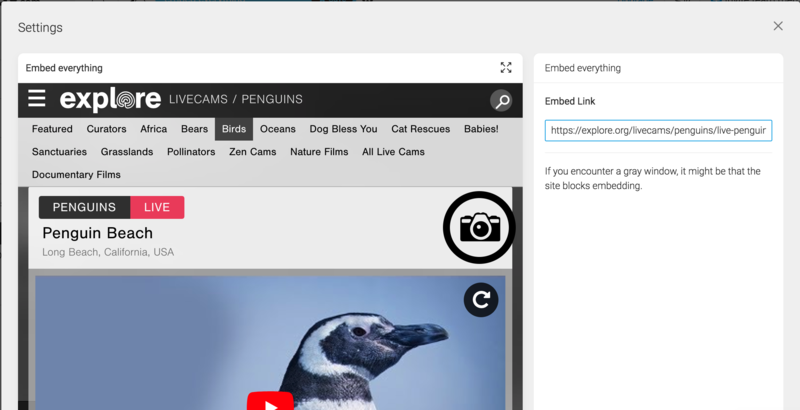 Add anything and everything to your dashboard with our Embed Everything Widget! Check out this article to learn more. See a live stream of updates from your favorite boards! 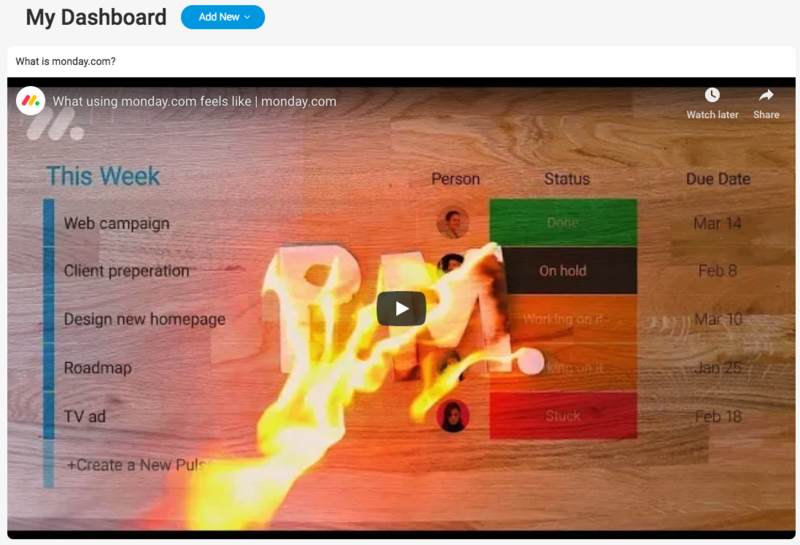 Choose which boards you want to keep on top of and see all communication on those boards appear in a live stream in your dashboard, with the board updates Widget. Stay focused using the Pomodoro widget! Based on the Pomodoro technique, this widget is a timer that breaks down your work-day into intervals separated by short and long breaks - boosting your productivity throughout the entire day! Check out this article to learn more. 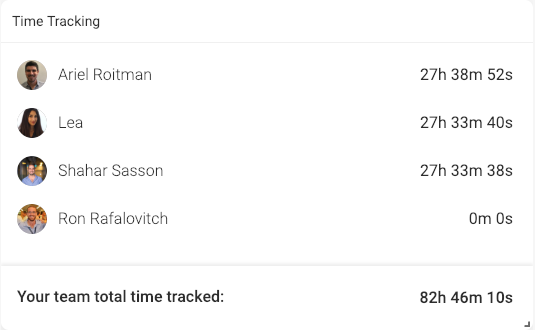 Need to see how much time each team member spent on tasks across your boards? The Time Tracking widget shows total time spent on pulses across multiple boards—both on an individual level (for the people assigned) and for the entire team! Great for resource management, making sure there’s a fair spread of work across the team and for easy reports for billable hours.Check out how it works right here. You can now create a To-Do List Widget! You can easily add tasks to your to-do list and watch all your tasks get completed 😁✅ Check this article for more information. We have created something you never knew you needed but won't be able to live without - you can now view the status distribution of your tasks in the form of a llama farm! The Llama farm widget will display a llama for each pulse in your board and the colour of the llama will match the status of a specific status column in that board! Check out how it works right here. 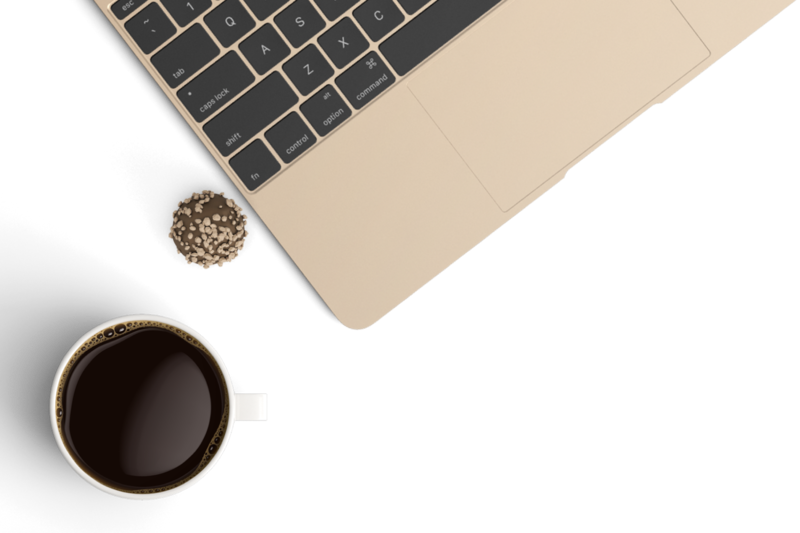 Collect articles, ideas, and stories from anywhere! 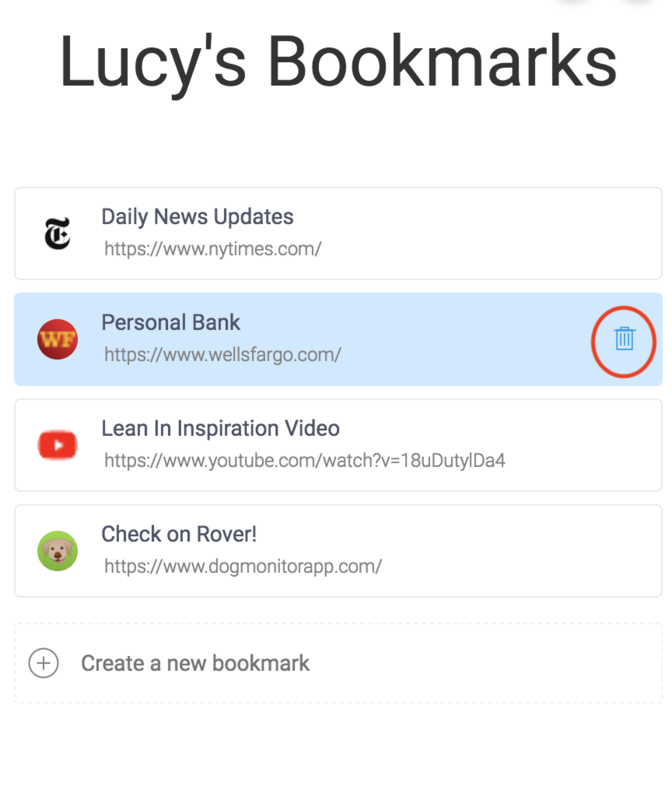 Save them to your monday.com account using the bookmarks widget! Easy to use and perfect for quick reference, this widget will display bookmarked items in a concise list. Check out this article to learn more. The timeline widget allows you to pull timelines from several boards and gather them all in a single view! This widget is a must have to enhance your workflow! Check out this article to learn how it works. With our calendar widget, you can now pull out information from several boards and gather them all in one calendar view! That will allow you to get a high level picture of what's happening across multiple boards in one place.